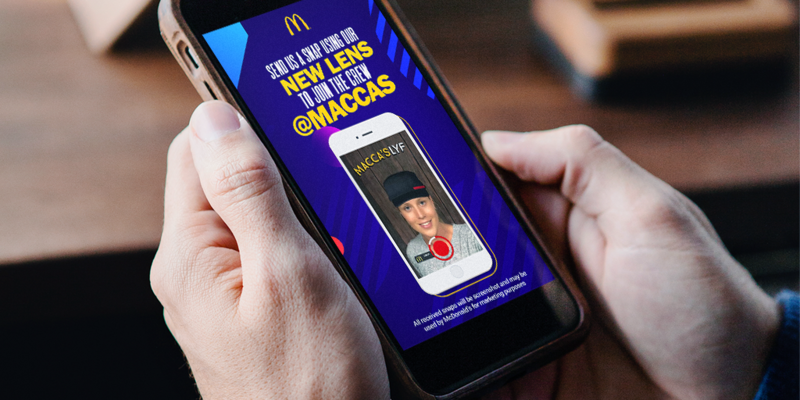 As the largest youth employer & one of the most successful Snapchat accounts in Australia, Maccas' latest campaign certainly hits the spot. 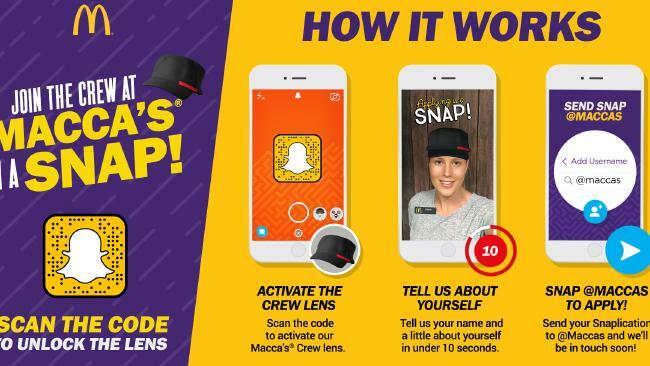 'Snaplications' launched last week with a sponsored lens that let users virtually 'try on' the McDonald's uniform and submit a 10 second job application, for a chance to join the crew permanently. Snaplications went down a treat with followers, picking up a few special mentions in industry press along the way. Suffice to say, we're lovin' it. NZ Snapchat users had their feeds upgraded to world-class when Air New Zealand dropped the country's first paid filter, inciting wanderlust for all. The filter encouraged users to specify their dream destination on a blank flight ticket, Snapping the resulting entries to airnewzealand where the best featured on their Story. Hundreds of outrageously creative entries flooded in over the 24-hour period, leaving Air NZ with the tough task of narrowing down winners. With the Snapchat Ad Store now open for business in New Zealand, the bar has been set sky high for other brands. ThreeNewZealand has been using Snapchat to engage with fans of The Bachelor this season, taking advantage of the #ViewingParty trend & showing off a bunch of cool Snap tricks along the way. This clever concept uses Custom Stickers (one of our favourite native Snapchat tools) giving followers a selection of 'Bachmoji' to cut out and apply to their own Snaps. Simple, playful, and designed with the audience in mind - it's fair to say we've got a bit of a Snap crush on you, guys.